﻿Published by Sareth Ney on Jan. 4, 2017 at 3:44 a.m. Updated on Jan. 4, 2017 at 5:57 p.m.
DENVER – Keith Turner is the backup vocalist, guitarist and songwriter for The Breachers. 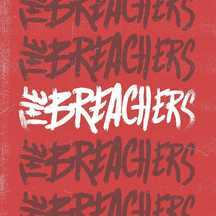 ​The Breachers’ self-titled EP (extended play) was released on Dec. 22, 2016 and it featured six songs including: “You Don’t Know”, “Calling In”, “Don’t Treat Your Man Badly”, “If You Were Mine”, “The Moon” and “Girl I’ve Got A Date”. In Turner’s household—he remembered he danced, while he listened to music with his parents. The artist he recalled listening and dancing to the most was Michael Jackson. His father was a musician and he played the guitar. As he became older, his father introduced Turner to the instrument. Turner reminisced about the first time he performed music on stage. He was nauseous. It was to the point where he almost vomited while playing. As the set progressed—he became more in tune, got into the groove, overcame his anxiety and the feeling of being nervous went away permanently. At one point in time, he had a concert in front of 3,000 people and it was at the annual Denver Cruiser Ride. Before being part of The Breachers, Turner was in five bands: The Disasterbators, The Resistance, Coffin Hunter, Beef Toast and The Dendrites. Turner’s five favorite records include: Otis Redding’s “Otis Blue: Otis Redding Sings Soul”, J Roddy Walston and the Business’ self-titled album, Green Day’s “Insomniac”, The Frightnrs’ “Nothing More To Say” and The Specials “More Specials”. His favorite live album is Nirvana’s “MTV Unplugged in New York”. If Turner could set up a music festival with past and present music artists with The Breachers on the bill, he chose the following: Bob Marley, Neil Young, Otis Redding, The Frightnrs and The Specials. Over the next five years, Turner hopes to play over 100 shows each and every year. When it comes to venturing off into other parts of the music industry, he plans to be part of the mastering process in the recording studio. He states the production side of the music industry always interested him and he is planning to apply his degree in audio production. On social media, The Breachers can be found on the platforms: Facebook, Instagram, Twitter, and YouTube. Their music can be streamed and downloaded from: Bandcamp, CDBaby, iTunes and Spotify.